"Client service excellence isn't always about doing what no one else can do; it's about doing what anyone can do, but just doesn't. 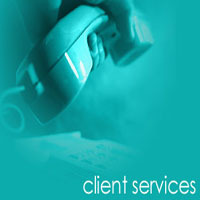 ..."
The Better Client Service is striving to provide a low cost solution to more complete Client information. The Better Client Service provides a way for businesses to search for their potential Clients and review how these Clients have performed against their contracted obligations in the past. Our objective is to meet the individual specific requirements of our clients in a most efficient manner. 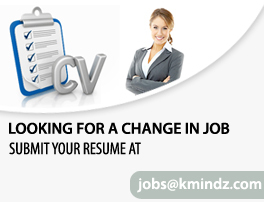 We have maintained the highest professional standards in the Recruiting Industry. 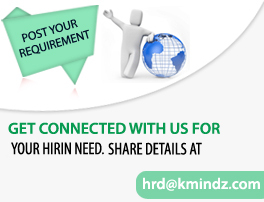 We can provide you with the best qualified candidates to meet your needs. Each of our recruiters has had extensive industry knowledge prior to becoming professional executive search consultants. This uniquely qualifies us to speak your language and understand your needs. We make sure everyone in our firm knows the client is the main event. We confirm. We Establish effective communications, both internal and external, to enhance our clients' recognition of the value and quality of our service. When WE work, WE are marketing. We Develop client service objectives that will enable us to fulfill our professional responsibilities, satisfy our clients' needs, and aim to exceed their expectations. We Prepare an appropriate client service plan to achieve these client service objectives. We execute the client service plan in a manner that has earned us our reputation for quality and endeavors to ensure that commitments are met, potential problems are anticipated, and surprises are avoided. We think like the client--help control costs. We are there for clients-24*7. We Determine, on each engagement, who our clients are and directly ascertain their expectations for our performance. We continually broaden and strengthen our relationships with our clients to facilitate effective communication and enhance client confidence, while maintaining professional objectivity. We ensure that any professional, technical, or client service problem is resolved promptly with timely consultation in an environment of mutual respect. We Obtain from our clients, either formally or informally, a regular assessment of our performance. We Receive fees that reflect the value of services provided and responsibilities assumed, and that are considered fair and reasonable. We Follow-up beyond the sale. We make sure the job is put to bed. Even after the job is complete, we make sure the client is totally satisfied. We Exceed expectations in areas that would please the client. This might mean deliver more ideas and put more work into it. So what if we get paid less by the hour, we have a solid, happy client.